Halloween healthy treats and easy recipes to keep all the little ghosts, goblins, hungry family and friends happy. Whether you are hosting a Halloween party, need a dish to pass or a super fast dinner so you can get trick or treating, we have you covered. Be sure to try our Roasted Cajun Pumpkin Seeds, Curried Harvest Black Forbidden Rice or our Healthy Pumpkin Muffins. 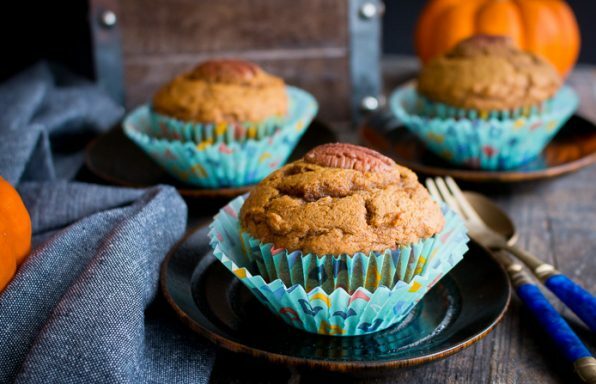 Healthy Pumpkin Muffins are moist, delicately sweetened with date paste and a pumpkin spice aroma that is out of this world. 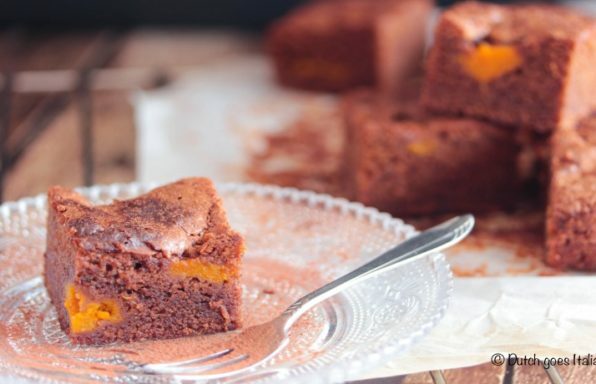 Naturally refined sugar free and dairy free too! 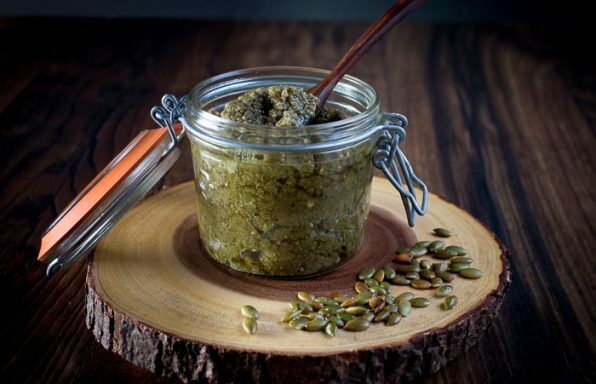 Roasted Pumpkin Seed Butter is a homemade creamy and nutty flavored butter made with roasted pepitas with NO ADDED SUGAR. 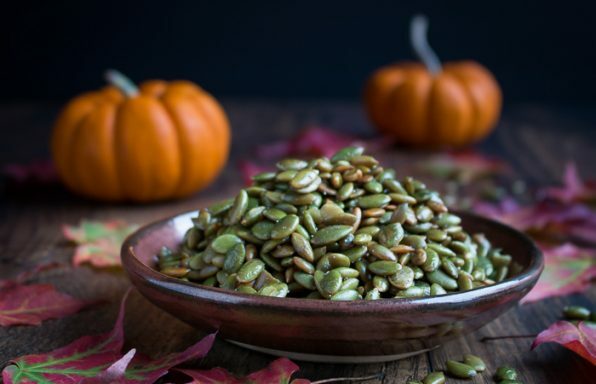 Easy Roasted Pepitas are crunchy, toasty pumpkin seeds without the shell. They are perfect for snacking or as a topping for soups, salads, and many recipes. 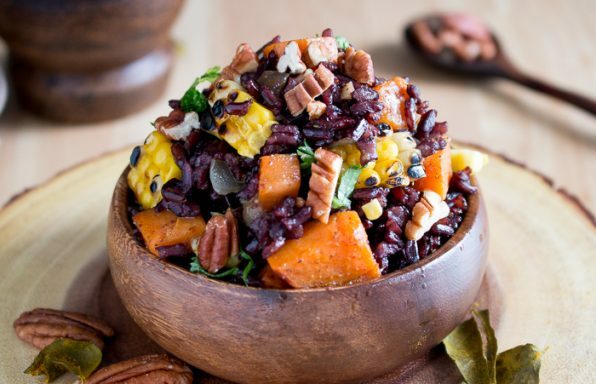 Curried Harvest Black Forbidden Rice is the best seasonal side dish with roasted autumn vegetables, curry and pecans. 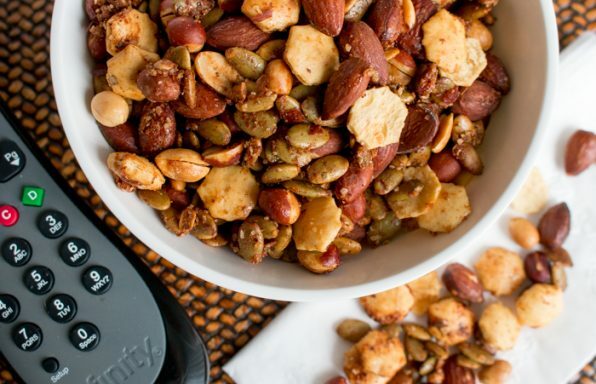 Spiced Nut Mix is a spicy, savory and slightly sweet mix of roasted nuts and crackers that is the perfect game day snack. 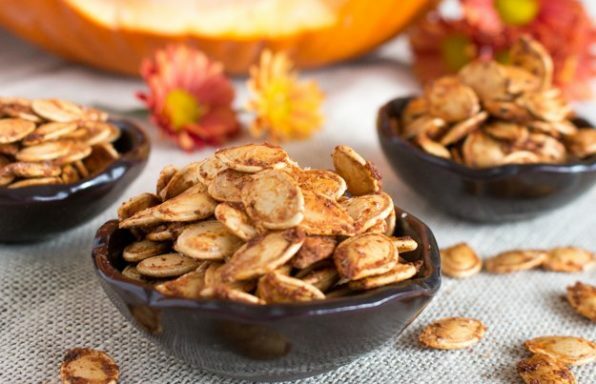 Roasted Cajun Pumpkin Seeds are crunchy, addictive, spicy and a fun way to enjoy the Halloween Season. 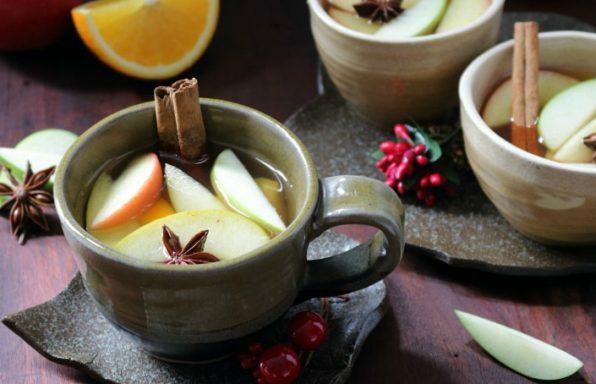 Warm spiced apple cider steeped with whole star anise, cinnamon, citrus and apples for a quick and easy cozy fall drink.